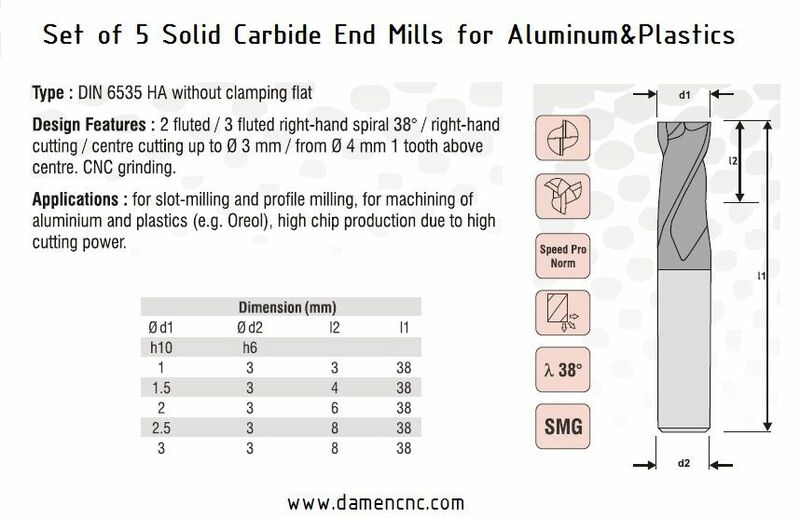 VHM Mini Mills for Aluminum&Plastics 3.0mm CL=25mm d=3.175mm | DamenCNC B.V. Solid Carbide Mills for Aluminum&Plastics. This 3mm mill has extra length: cutting length is 25mm and total tool length is 75mm. 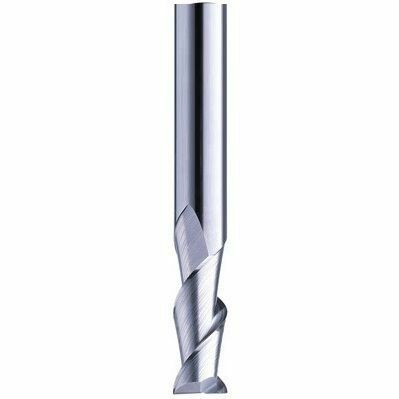 However, this mill requires a 3.175mm collet, while the smaller diameters require a 3.00mm collet.